The above Architectural Composition with Showroom 2013 separates the two parts of Wladyslaw Strzeminski's 1927 Architectural Composition 4a. One is cut out in ply, and the other in gingham-wallpaper attached to the wall. 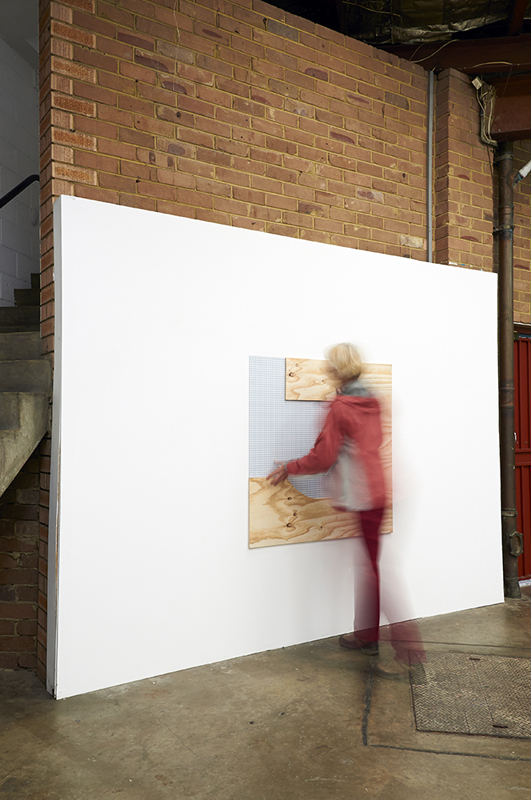 Each is located so that anyone can delete (or reduce) the physical space separating them by placing the ply shape with the gingham shape to make a drawing (or collage) of Strzeminski's image.